Providing great tone for blues, classic rock, jam, southern rock and hard rock playing styles, the Pearly Gates SH-PG1 Neck pickup from Seymour Duncan is an amazing humbucker. This pickup features a nickel cover. The Seymour Duncan Pearly Gates SH-PG1 is a warm, slightly-hotter-than-vintage humbucker, which works great for blues, classic rock, jam, southern rock and hard rock. These pickups boast players such as Dickey Betts, Warren Haynes (Gov't Mule), Howard Leese (Heart) and Greg Martin (Kentucky Headhunters). The SH-PG1 was originally designed to recreate the '59 Les Paul® Standard pickups that had brought a defining raw, rebellious sound of Texas blues-rock. The Pearly Gates provides great sustain and a bright top end which really enhances harmonics. 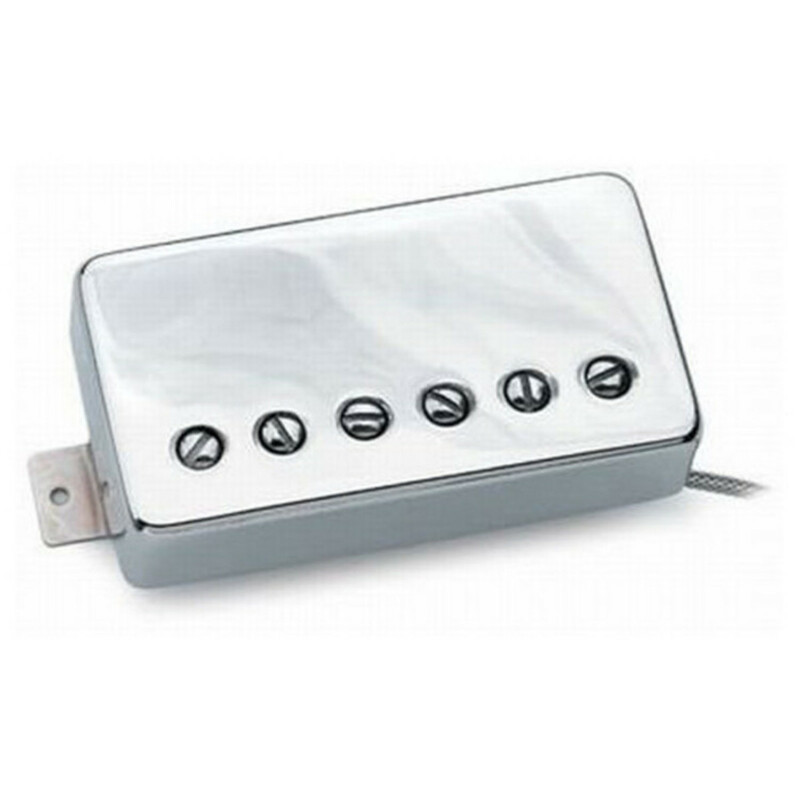 This pickup has a nickel cover and includes a four-conductor hookup cable. The SH-PG1 neck pickup pairs well with an SH-11 Custom Custom in the bridge for heavier rock sounds from the bridge position. It's great for brighter toned instruments, especially for guitars with maple and ebony fingerboards. It also works great with hollow and semi-hollow body guitars.